Honda India starts production of Amaze sedan - Launch on 11th April 2013 ? Do you remember, we last month reported that Honda Cars India has stopped the production of Jazz hatchback in India. 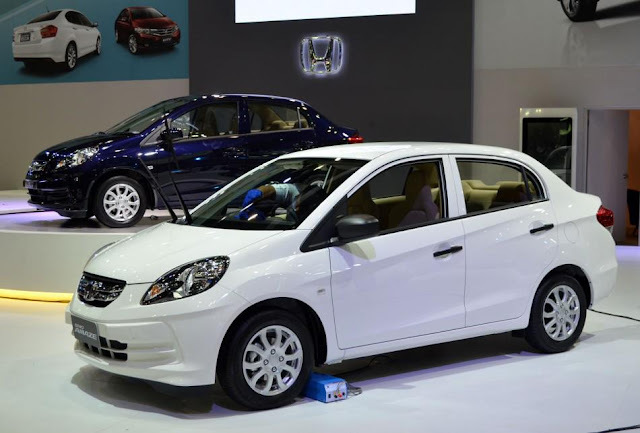 We also reported that Honda will use this capacity to manufacture Amaze sedan at its Noida manufacturing facility as the carmaker speculates the huge demand for Amaze in the market. Well, the information could now be linked as it has been confirmed through sources that the carmaker has already started manufacturing and has even manufactured 10,000 units of Amaze sedan at its Greater Noida facility. You must be wondering now, but the launch has still not taken place. Yes ! it has also been reported through our sources that the carmaker has already started dispatching the vehicles to various stockyards at its dealers end (view more images here) and is now getting restless to dispatch more numbers to its dealers. The Honda Amaze will be a significant step for the company in India as it will be its first diesel car in India. Word is out that Honda is developing a 1.5 litre version of its new i-DTEC diesel engine and it is this mill that will do duty in the Amaze. The car will also be available with the 1.2 litre i-VTEC petrol engine that currently does duty in the Jazz and Brio hatchbacks. An automatic version of the petrol model is also likely to be introduced along with the launch.